Just because your child’s teeth look as if they need braces in Mesquite doesn’t actually mean they’re old enough for them. 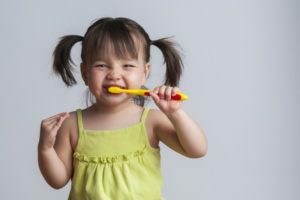 There are a variety of factors that come into play in determining when a child is old enough to seek treatment for different dental issues, including crooked teeth. 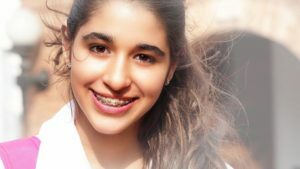 While you may not know the right age, your child’s orthodontist does, so read on to find out when it’s the appropriate time for braces. When it comes to caring for your child’s teeth, who better than a pediatric dentist, right? 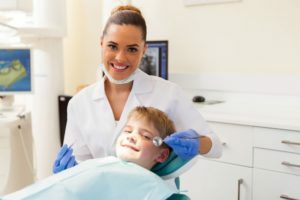 For many parents, it’s more convenient to have everyone in the family see the same dentist; however, this may not be in the best interest of your kids. To find out why, we’ve compiled a list of 3 reasons your child should see a pediatric dentist in Richardson. When it comes to missing teeth, you may first visualize a set of dentures. 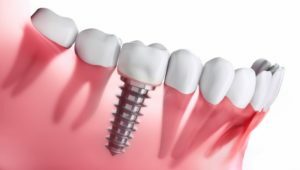 While these are a viable option for some patients, dental implants in Pleasant Grove can fully restore your smile and oral health. Providing greater stability and long-lasting results, it’s no surprise they’re often viewed as the best solution in addressing missing teeth. Find out more about this tooth replacement solution and how the implantation process works. When dealing with an emergency and someone tells you to stay calm, your response is probably, “Yeah, that’s easier said than done.” When you’re told to keep a level head, you find it’s a bit hard to do when all you can is panic. When a dental crisis occurs, all you can think about is getting relief from the pain, and who can provide the relief? Your dentist. But what if you can’t get in right away? You may find that some useful at-home tricks can alleviate some of your discomfort while you wait to see a professional. Unsure of how to handle these situations? 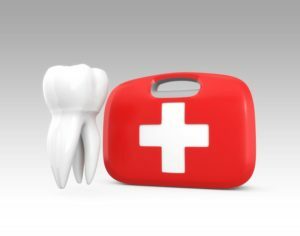 Let an emergency dentist in Northwest Dallas answer some common questions about dental emergencies. Your pearly whites are meant to do more than just shine. These beauties serve an incredibly important role in your overall health. Have you ever wondered what they’re made of? Or, maybe why they can cause us so much pain? Your dentist in Pleasant Grove explains how many types of teeth there are as well as the anatomy of our teeth. If you’re complaining about the pain the back of your mouth, it’s probably those third molars attempting to break through the gum line. No one enjoys having their wisdom teeth in Mesquite extracted, but oftentimes, it’s a necessity. Luckily, your dentist is skilled in these types of surgeries, so there’s nothing to be concerned about. But what if you’re not experiencing any pain? How do you know when your wisdom teeth should be removed? Read on to find out. The tongue is an interesting aspect of the human body. Everything we consume passes by it, and yet, it never really gets the attention it deserves. But did you know that your tongue holds quite a bit of importance? Although small, it helps you eat, speak, and even digest your food. To learn more about this unique piece of anatomy, a dentist in far North Dallas shares 6 cool facts about the human tongue. 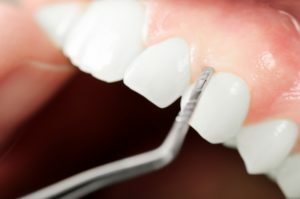 What Happens if Gum Disease in Pleasant Grove is Left Untreated? 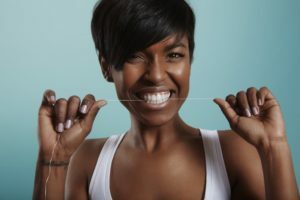 Gum disease is a disease that affects around half of the US population, which is why February has been made National Gum Disease Awareness Month. 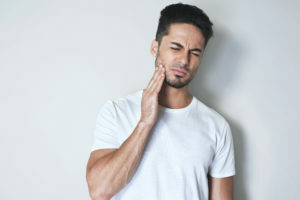 In an effort to raise awareness about this common problem, your dentist wants you to know what can happen if your gum disease in Pleasant Grove is left untreated. Keep reading to learn about gum disease, its symptoms, and what you can do to prevent it. Comments Off on What Happens if Gum Disease in Pleasant Grove is Left Untreated? If you’re a parent, you probably think about your kids’ health all the time. However, their oral health is often easy to forget. February is National Children’s Dental Health Month, which is an effort to raise awareness on the importance of oral health for little ones. How they care for their mouth now can actually affect them for the rest of their lives. Thankfully, your dentist has some easy tips you can use to help your kids stay healthy.